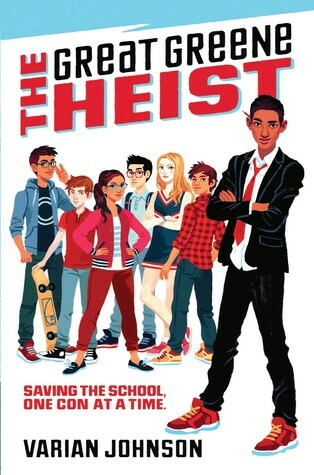 I picked up The Great Greene Heist by Varian Johnson in March at my school’s spring book fair. I finally decided to read it this week. (I was in the mood for something a little lighter than the other books I was reading.) I finished it earlier today, and I now want to settle in for an Ocean’s 11 movie night. That’s a good thing. Jackson Greene was one of the greatest con artists Maplewood Middle School had ever seen. Due to fallout from his last con, however, Jackson has put his conning days behind him…or has he? When word gets out that Keith Sinclair, a nemesis of Jackson’s, is running for Student Council President, Jackson knows he has to step in. You see, Keith is running against Gaby de la Cruz, Jackson’s former best friend. Jackson knows Gaby will be a great president and run an honest campaign. Keith, on the other hand, is sure to use every dirty trick in the book–including blackmailing the principal–to make sure he wins. As Jackson gets more proof that Keith is up to no good, he assembles a crew to pull off the greatest election showdown in middle school history. Their mission is to make sure Gaby wins the election and expose Keith Sinclair for the rat he is. If Jackson happens to get back in Gaby’s good graces in the process…well, that’s a bonus. Will Jackson and crew be able to pull of such a complicated con? Will everyone stick to the plan? Who will win the school election, Gaby or Keith? Find out when you read The Great Greene Heist by Varian Johnson. I cannot say enough good things about this book. It was entertaining from start to finish, and there was a fair amount of geeky humor that I absolutely adored. (I’ve always wanted to learn Klingon, and this book may have given me a push toward making that happen.) All of the characters are smart in their own ways, and, in my opinion, use their intelligence for the greater good. Definitely Starfleet Academy worthy. I would highly recommend The Great Greene Heist to readers in 4th or 5th grade on up. Some of the humor–particularly the nerdier stuff–may not resonate with younger readers, but they’ll still find much to enjoy in the antics of Jackson and his crew. For those who think this book is their cup of tea, there’s more to love. The second book in the series, To Catch a Cheat, is already out. Perhaps I’ll buy this one at my next book fair (which is coming up in November). If you’d like more information on The Great Greene Heist, visit author Varian Johnson’s website. You can also connect with him on Twitter. Today, I bring you one more of the nominees for the 2016-17 South Carolina Children’s Book Award. (I’ve still got six left to read. Sigh.) This post is devoted to Always, Abigail by Nancy J. Cavanaugh. Ms. Cavanaugh is not new to the SCCBA list. Her previous book, This Journal Belongs to Ratchet, was on the list a couple of years ago. I liked that book, so I figured I would enjoy Always, Abigail. As usual, I was right. Told in lists and letters, Always, Abigail is the tale of–you guessed it–Abigail. This young girl is entering sixth grade, and she and her two best friends are obsessed with making the school’s pom-pom squad. Her life will be over if she doesn’t make it. (Anybody recognize the middle school melodrama?) It’s bad enough that she and her BFFs aren’t in the same homeroom and she’s been saddled with the school loser for a year-long project. Surely the universe wouldn’t take poms from her too?! As you may have guessed, Abigail doesn’t make the pom-pom squad. She is devastated and doesn’t really know what to do anymore. Her friends are always busy and now have inside jokes that she’s not privy to. Abigail is feeling left out, bored, and depressed, and she’s not sure how to change things. Her partner for her class’ “Friendly Letter Assignment” doesn’t help matters. Gabby Marco is the outcast of the sixth grade, and she’s Abigail’s letter partner. At first, Abigail wants absolutely nothing to do with Gabby, but, as Abigail’s friends drift away, she and Gabby form an unlikely friendship. The two girls learn more about each other and realize they have more in common than they thought. But Gabby is still an outcast, and Abigail’s so-called “friends” delight in tormenting this girl, not knowing anything about what she’s going through at home. But Abigail knows…and she stays silent. She knows she should stand up for Gabby, but she doesn’t want to risk becoming an outcast herself. Abigail is sick about the entire situation, and she feels like she’s about to explode. When Abigail’s luck looks like it’s starting to change, she’ll be forced to make some truly difficult decisions. Will she continue to go along with the crowd, or will she stand up for a friend who’s been nothing but kind to her…even if it means losing all she’s ever wanted? Find out when you read Always, Abigail by Nancy J. Cavanaugh. 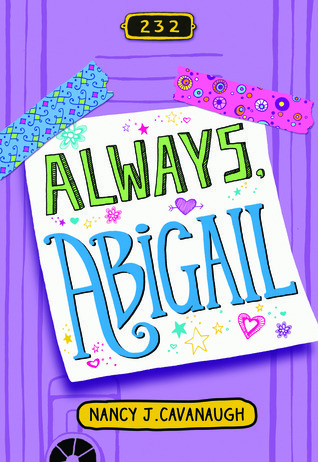 Always, Abigail is a super-fast read that will appeal to fans of Dork Diaries, Dear Dumb Diary, and Diary of a Wimpy Kid. Readers who like lists–myself included–will also find something to enjoy. I think many readers may grow a little weary of Abigail and her obsession with being part of the “in crowd,” but I also think they’ll see themselves in this thoroughly relatable character. This book could lead to some discussions about what they would do to be popular. Would they be willing to bully another student? Stay silent when others are mistreated? How far would they go to be included? If you’d like to learn more about Always, Abigail and other books by Nancy J. Cavanaugh, be sure to visit the author’s website. You can also connect with her on Facebook and Twitter. Finally, check my YouTube channel later to see what I come up with for an Always, Abigail book trailer. It’s time, once again, to bring you one of the nominees for the 2016-17 South Carolina Children’s Book Award. Today’s post focuses on The Rookie Bookie by L. Jon Wertheim and Tobias Moskowitz. This book is an interesting, quick read that will appeal to both math and sports enthusiasts, but I’m not sure how many upper elementary school students (the target audience for the SCCBA nominee list) will be able to follow all of the economics, statistics, and sports strategy talk presented in this book. I think they’ll enjoy getting to know the characters and seeing how they get into and out of trouble, but I think this book may be more suitable for middle grade readers than many of my little ones. Mitch Sloan is the new kid at school, and he doesn’t have the best luck when it comes to fitting in. At his old school in California, he was bullied for being a nerd. He doesn’t want the same thing to happen here in Indiana, so Mitch tries out for the football team and attempts to tone down his love of math, money, and correcting people. One person who seems to connect with Mitch immediately is Jamie, a girl who loves sports as much as Mitch does. She examines strategy just like he does, and he finally feels like someone finally gets him…and he absolutely does NOT have a crush on her. One day, Mitch and Jamie take their love of sports to the next level, and they bet on a pro football game. Mitch uses his love of strategy and statistics to skew the bet in his favor, and, though Jamie is upset at first, an idea begins to take shape. What if they can get other kids at school to bet on some games? Mitch and Jamie could serve as middle-men–or bookies–and make a little money with no risk to their own wallets. What could possibly go wrong? Pretty soon, kids are lining up at Mitch’s locker to make bets and receive their winnings. Mitch and Jamie are making money, their “customers” are having fun, and Mitch feels what it’s like to be popular. He kind of likes the feeling, even though he wonders just how many of these people are really his friends. Eventually, this business begins to spiral out of control, and Mitch and Jamie find themselves in more trouble than either of them have ever been in. (Who knew that operating a middle school gambling ring was against the rules?) Can their friendship recover from this huge mess? And can they find a way to redeem themselves in the eyes of their parents, their classmates, their teachers, and the whole school? Answer these questions and many more when you read The Rookie Bookie! I think The Rookie Bookie is a good fit for readers who enjoy football, particularly those interested in fantasy football or anyone who grew up in a town where high school football is a community-wide event. I also think this could be used as a novel study in a math class. It could help students with real-life applications of statistics and finance. Additionally, this book could teach some life lessons, like the importance of honesty, what it means to be a true friend, using talents to help others, dealing with bullies, and owning up to one’s mistakes and trying to make amends. 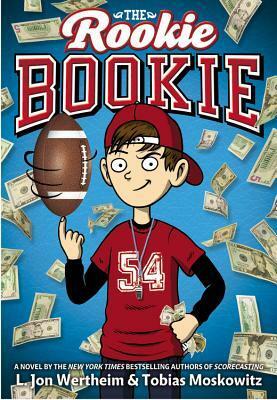 While I do think The Rookie Bookie is more suited to middle grade readers, I know some of my older readers (4th and 5th graders) will enjoy it. Hopefully, they won’t decide to start up an elementary school gambling ring. We shall see. Last night, I finally made time to read Shingaling, the third “bonus” story that goes along with Wonder. At first glance, I wasn’t totally sure which character I’d be reading about. The title, which refers to a dance I’d never heard of before, doesn’t immediately give that away. Charlotte has always been a nice kid. She gets good grades, she’s polite to adults, she helps the new kid at school, and she tries to stay out of all the drama that comes with middle school. Does she sometimes try a little too hard to be liked? Sure, but it’s just because she wants to belong. Charlotte’s best friend, Ellie, has been accepted into the most popular group in school, and Charlotte feels like she’s been left behind. It doesn’t help that Ellie’s new friends are sometimes mean to Charlotte and other students in school. Charlotte knows she shouldn’t care what this group thinks of her, but she can’t help it. She really wants them to like her. When Charlotte is given the chance to dance in a very special performance–based on the shingaling–she also gets the opportunity to get to know Ximena, one of the popular girls, and Summer, one of Auggie Pullman’s closest friends. All three girls are spending hours each week practicing their dance, and they gradually learn that they have more in common than they thought. They become friends and talk about their interests, their fears, and their perceptions of the people around them. It’s during these conversations that Charlotte realizes hat the kids at school think of her as a goody-two-shoes who’s only nice when teachers are looking. Charlotte tries to be nice to everyone around her, but maybe that’s not the same thing as being kind. 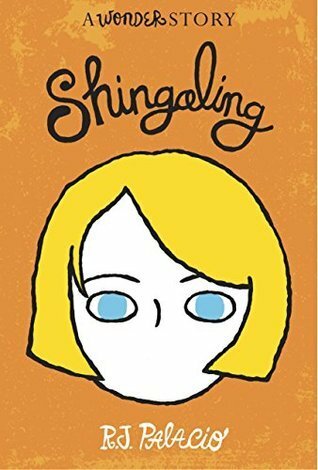 Join Charlotte as she learns what kindness, friendship, and even empathy really mean when you read Shingaling: A Wonder Story by R.J. Palacio. The little synopsis above is one of the most difficult I’ve ever written…and I honestly can’t pinpoint the reason for that. Even though this story was less than 70 pages long, it covered a lot, and I know I’ve left out a bunch of stuff and glossed over even more. I apologize for that. Auggie is barely a blip in Shingaling, and that, in my opinion, helps fans of the original book to realize that there was more going on at this school than just Auggie’s story (even though it’s an extremely important one to tell). Sure, Auggie’s journey had an impact on the character of Charlotte, but it wasn’t the sole focus of her year. She had her own issues to sort through, and, while Auggie had a small part in how that played out, Charlotte had to forge her own path and learn several lessons in her own way (as we all do). As far as I know, Shingaling is the last of the Wonder stories. It’s actually now part of a print collection known as Auggie & Me, which includes The Julian Chapter, Pluto, and, of course, Shingaling. If you’re a fan of Wonder, I highly recommend reading each of these extra stories. I think they definitely add some depth to what we saw in Wonder. You might also want to check out 365 Days of Wonder: Mr. Browne’s Book of Precepts. I haven’t read that one yet, but I understand that it’s a book of sayings–or precepts–supposedly compiled by Auggie’s teacher, Mr. Browne. For more information on all things Wonder, visit author R.J. Palacio’s website. 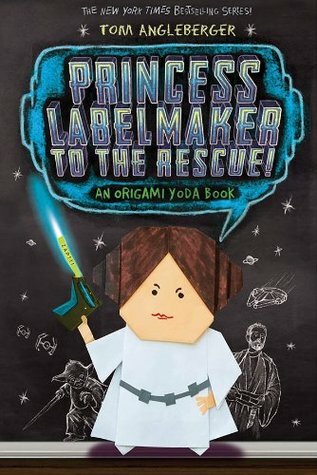 As you’ve no doubt gathered, we’re up to the fifth book in Tom Angleberger’s Origami Yoda series, Princess Labelmaker to the Rescue! Once again the students of McQuarrie Middle School are battling the FunTime Menace, but they may just have an unexpected ally now. The Origami Rebellion thought they had won a victory when Principal Rabbski agreed to see about putting an end to the horribly boring, soul-crushing FunTime program. This expensive test-prep program put an end to their field trips, electives, and everything else that really made school fun. Even the teachers hate it. But FunTime seems to be Force-choking McQuarrie Middle. The students are still sitting through the mind-numbing videos and worksheets, and Principal Rabbski doesn’t appear to be doing much to stop it. So what’s a rebellion to do? They ask the advice of the puppet that started it all: Origami Yoda. Yoda urges the rebellion to let Principal Rabbski take a look at their extensive case file (which details how everyone really feels about FunTime). Since there are entries that paint Rabbski in a rather unflattering light, the rebellion disagrees. Someone, though, has taken matters into her own hands. The mysterious Princess Labelmaker has given Rabbski the case file, hoping that it will convince the principal to finally take action against the evil FunTime Empire. Will the Origami Rebellion finally get their principal to turn from the Dark Side? Who is the rogue rebel who gave the case file to Rabbski, and was that act worth it? Will the FunTime Menace finally be vanquished? Find out when you read Princess Labelmaker to the Rescue! I don’t have to do much to sell the Origami Yoda books in my library. Basically, I put them on the shelves, and they disappear. (I do talk them up anyway. My kids know how much I love all things Star Wars.) This fifth installment, I’m sure, will be no different. Student readers aside, I’d like to recommend this entire series to educators. In my opinion, Tom Angleberger hits the nail on the head when describing how both students and teachers feel about the stranglehold standardized testing has on education today. Standardized testing is big business, and, in my opinion, students are the ones who end up paying the highest price. We’re sacrificing creativity, curiosity, and, yes, fun in the hopes that kids will do well on a standardized test…when there is nothing standard about student learning. And don’t get me started on evaluating teachers on their students’ test scores. (Seriously. I could rant for days on that subject.) Are a few points on a test more important that developing a love of learning in students? I don’t think so…and neither does the Origami Rebellion. Time to step off my soapbox…for now. Even though there was a nice bit of closure in Princess Labelmaker to the Rescue!, I’m sure we’ll see more of the students of McQuarrie Middle School. In the meantime, I recommend visiting the author’s Origami Yoda page and Twitter feed. Also, be sure to take a look at the video below for more from Tom Angleberger. May the Force be with you! Yesterday, there was a run on my school library. We got eight copies of the latest Diary of a Wimpy Kid book, Hard Luck. (I skedaddled to the store Tuesday so that we would be able to have copies available for students first thing on Wednesday.) Many of my students have been looking forward to this eighth installment in the popular series for months, so I knew I would have to do my part to meet demand. I did keep one book back to read myself, though. (After all, you can’t recommend a book if you haven’t read it yourself.) I finished it last night, so here we are with a post today. Greg Heffley’s life is not going well. His best friend Rowley now has a girlfriend. Where does that leave Greg? Out in the cold. Suddenly, Greg has to walk to and from school by himself, carry his own books, sit with other people at lunch, worry about who to play with at recess, and find something to do after school. Who knew that losing your best friend would cause so much trouble?! Middle school is no picnic at the best of times. It’s even worse when you don’t have a best friend (and you’re not sure how to make more friends). Eventually, though, Greg thinks he’s found a way to make things a little better. He’ll leave his fate up to a Magic 8 Ball! This shouldn’t cause any problems at all, right? Right?! Join Greg Heffley as he navigates the halls of middle school–girls, cafeteria seating, recess games, making friends–and his somewhat unpredictable family. Will Greg’s luck ever change? 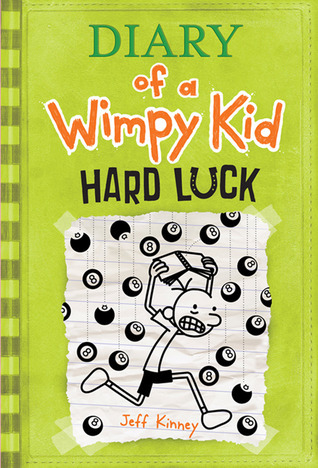 Find out when you read Hard Luck, the eighth book in Jeff Kinney’s Diary of a Wimpy Kid series! Like all of the other books in this series, this book sells itself. I don’t think I need to do a ton of promotion here. I put eight copies of this book on the shelf yesterday, and they’re all gone today. We’ll probably have to order a few more soon. Kids just love these books, and I think I’ve illustrated that adults may just find something to enjoy (or at least relate to) as well. I’m sure we’ll see yet another DoaWK book this time next year. In the meantime, visit http://www.wimpykid.com/ for all things wimpy! Enjoy! Cheesie Mack Is Running Like Crazy! Warning! If you haven’t read Steve Cotler’s Cheesie Mack Is Not a Genius or Anything and Cheesie Mack Is Cool in a Duel, stop now! Go to your nearest library, check out those books, read them, and then come back. Go ahead…I’ll wait. All done? Okay then…let’s get to it! Last year, I had the privilege of hosting an author visit at my school with the wonderful Steve Cotler. (For details about the visit, click here.) During the visit, Mr. Cotler let my students know that they could expect more adventures from his hilarious protagonist, Cheesie Mack. 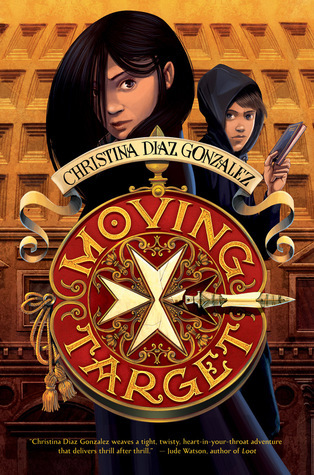 Well, I finally got around to reading the third installment in the Cheesie Mack series this weekend (before my students got their hands on it, and I never saw it again). 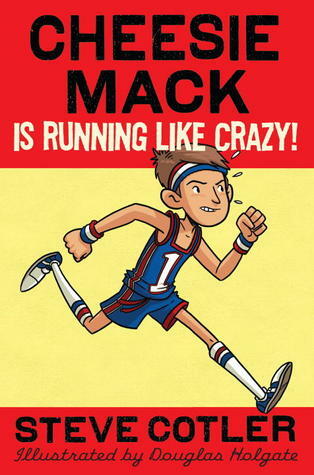 The book is Cheesie Mack Is Running Like Crazy! I know my students will be just as enamored of this book as they were the first two books in the series. (I seriously can’t keep them on the shelves.) They’ll love Cheesie’s humor, love of lists, fierce battle with his sister Goon (June), friendship with Georgie, and his first days in middle school! Ronald “Cheesie” Mack is about to enter a new world…middle school. Luckily, he’s got his best friend Georgie by his side, but how can Cheesie and company make an impression on students and teachers who are totally new to them? Cheesie thinks he may have the answer. Run for 6th grade class president! During all of the class election craziness, Cheesie also has to deal with his horrible sister, joining the school’s cross-country team, and generally learning to survive middle school. He encounters everything with the humor, wit, and intelligence that have gotten him out of jam after jam. The question is…will it be enough this time? Find out how Cheesie, Georgie, and a charming cast of characters make it to the finish line when you read Cheesie Mack Is Running Like Crazy! by Steve Cotler! While I think Cheesie Mack Is Cool in a Duel is probably my favorite in the series, I think this third installment is pretty awesome. I know my students will devour it, and I anticipate requests to have Mr. Cotler visit my school again. Speaking of the series…the fourth Cheesie Mack book, Cheesie Mack Is Not Exactly Famous, will be out in February of 2014. The fifth book, currently untitled, should be out next summer.